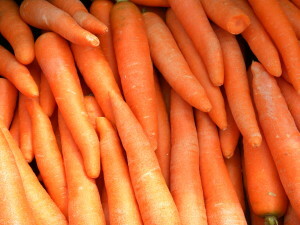 Carrots, best loved among the root vegetables. 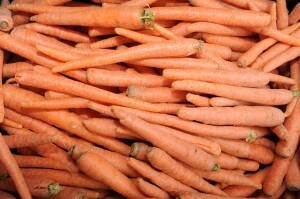 Grated or chopped raw in salads, pickled, boiled, fried, roasted, steamed, savory in cassaroles, and cooked in soups and stews, sweet when baked as carrot cake and carrot pudding. Store in a cool airy place for a few days.